I grew up in Kelowna, British Columbia. I have lived and worked also in Penticton and Princeton. I met my wife, Brenda in Princeton. We have been married since 2004. We have no children but did have a family at one time that included three dogs and one cat. 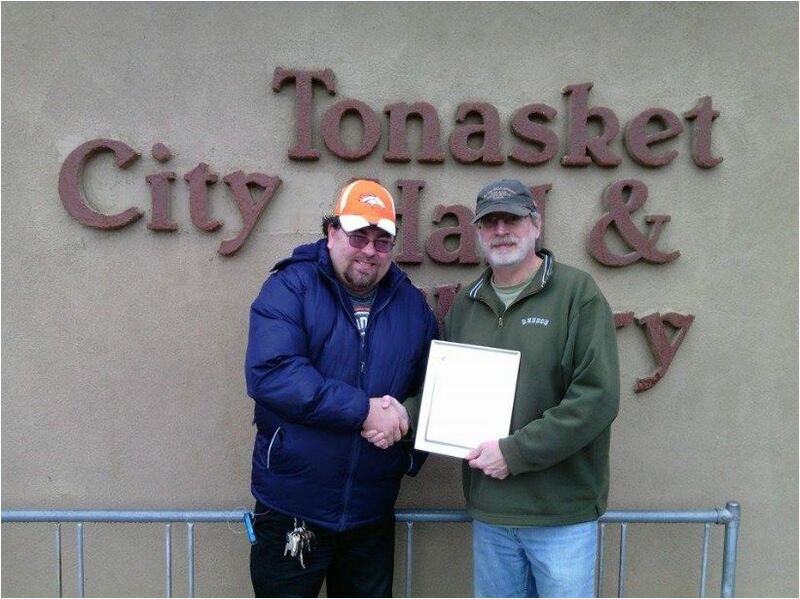 City of Tonasket Mayor Patrick Plumb, left, presenting me with the official proclamation for George Elliott Appreciation Day. 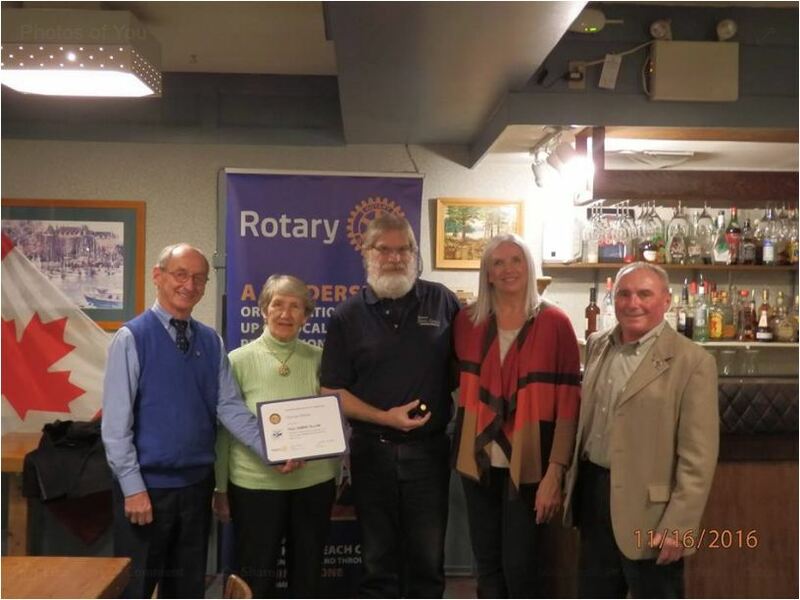 From left, Rotarian Ernie Lawrence, former News Leader Owner Dawn Johnson, myself, my wife Brenda and Princeton Rotary Club President Mike Talarico at the Paul Harris Fellow presentation.